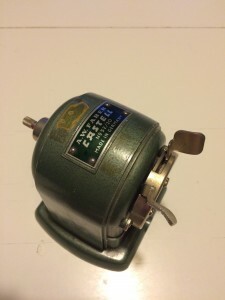 In the olden days pencil sharpeners where heavy machines made from metal not plastic. The A. W. Faber № 52/20 is a beautiful machine utilising a hand-cranked planetary sharpener. 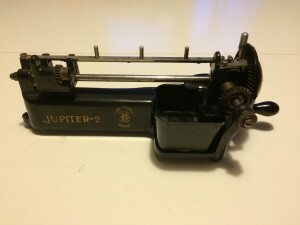 The Guhl & Harbeck Jupiter 2 is a heavy machine with a cast iron base for added weight and holes to screw it to a table. 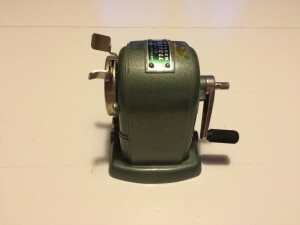 It uses reversible rotary cutter-disks for sharpening pencils.